Only 16 Pacific white-sided dolphins are in North American facilities, which makes the birth even more special. 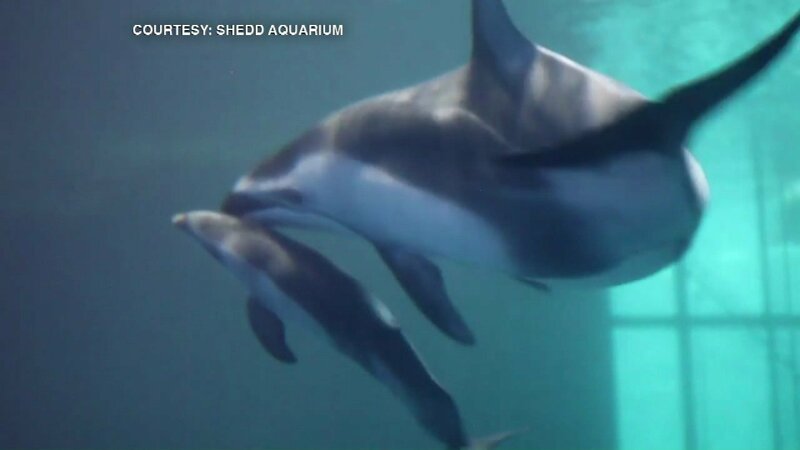 CHICAGO -- A Pacific white-sided dolphin calf was born Monday at Shedd Aquarium in Chicago. Baby and mom are doing swimmingly. The calf's gender is not yet known. The birth is a rare addition -- only 16 Pacific white-sided dolphins are in North American facilities, which makes the birth even more special. For now, mom and baby are getting some time away from the public to bond.